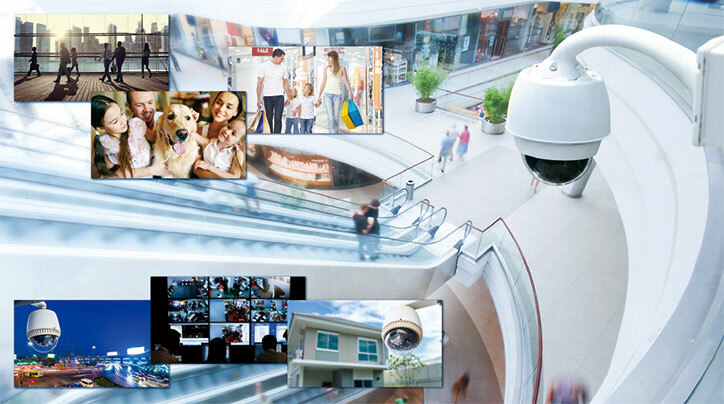 We provide camera solutions fit for surveillance use, packaging useful features including scene detection, haze removal, tampering detection, camera motion detection, motion detection, intrusion detection, cross line detection, and video HDR to low-power, light-weight ASSP equipped with various functions necessary for camera. We can apply necessary functions such as distortion correction, crop, super-resolution zoom, and panoramic to 360 degree camera image, allowing output image to be customized in accordance to camera location and usage. From camera input to NVR, we provide total surveillance camera solution in high quality 4K image. Our system is capable of facial/object recognition, identification and zooming in clear and detailed 4K image, realizing surveillance system with high performance and wider vision. 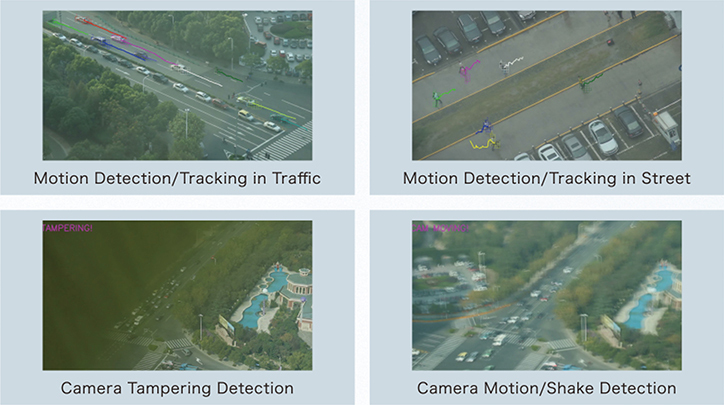 Our system has a motion detection feature which can be used in various situations, such as monitoring traffic and/or pedestrians on streets, tracking moving vehicles, etc. Also, with tampering and camera shake detection, camera troubles can be detected and alerted smoothly. High grade intrusion detection detects moving objects in various conditions such as empty, low-light indoor rooms at night. In cases where camera is set on high, far locations, weather conditions such as mist, rain, and snow may be obstacles to getting correct images. Our Haze Removal feature is useful in such condition where it detects and removes only the haze part, outputting clear image. 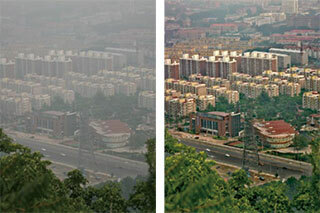 Haze Removal clears out the haze but leaves background details such as smokes and clouds. In backlight scenes where subject tends to be overexposed/underexposed, HDR function adjusts luminance levels and brings out detailed, vivid image. Available in 1920x1080/30fps.